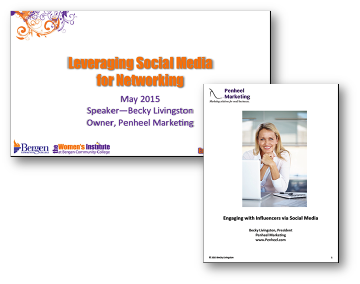 The “Leveraging Social Media for Networking” slide deck and complementary activity book cover tips, resources, and information on how to leverage social media in your networking efforts. Define your strategy, including using a content calendar and scheduling tools. Consider listening to the webinar playback after downloading your free copies to begin increasing your networking reach and influence today.